The International Society for Artificial Life hosted the first ISAL Summer School on Artificial Life, as part of the Education Day on Wednesday July 30th at the SUNY Global Center. This school was free for all ALIFE 14 registrants. My presentation is a view of artificial life from 30,000 feet. I will briefly introduce the historical roots of the contemporary multi-disciplinary sciences involved in artificial life, including its “soft”, “hard”, “wet” and “socio-technical” forms, and some of their grand challenges. I will also introduce artificial life’s foundational philosophical assumptions and implications, and say a word about its special social responsibilities. Bio: Mark Bedau pioneered the field of quantifying and comparing the evolutionary activity in artificial and natural systems, and is an international leader in the evolutionary design of complex biochemical systems using statistical models and prediction algorithms. 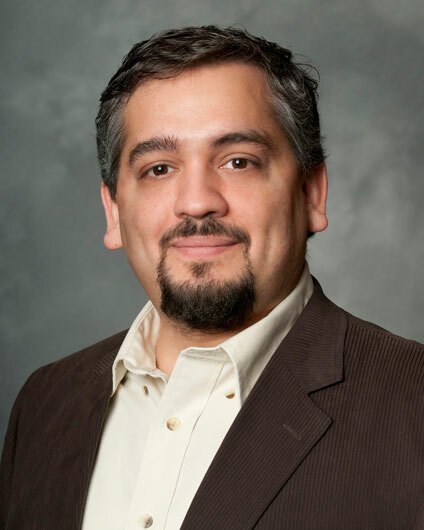 Because he combines training in analytical philosophy with over a decade of experience in artificial life, he is recognized as a uniquely qualified expert in the philosophical foundations of complex adaptive systems. Mark Bedau is Editor-in-Chief of the international journal Artificial Life (published by MIT Press), he co-organized five international conference on artificial life, co-founded a start-up company, ProtoLife SRL, and co-founded the European Center for Living Technology, a research institute in Venice, Italy, that investigates theoretical and practical issues associated with living systems. Researchers suggest computing with DNA, slime moulds, billiard balls, quantum systems, black holes, and more. What does it mean to compute with such exotic materials? And what will we need to compute with such things? Here I will explain what it means for a physical system to compute, and describe some research advances needed if we are to exploit these novel substrates to their full capacity. Bio: Susan Stepney is Professor of Computer Science at the University of York, UK. There she leads the Non-Standard Computation research group, and is Director of the interdisciplinary York Centre for Complex Systems Analysis. Originally a theoretical astrophysicist, she then spent 18 years in industrial R&D (GEC-Marconi and Logica), applying formal methods to commercial product. 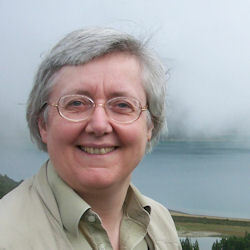 She returned to academia in 2002, researching aspects of unconventional computation and complex systems. She is a member of the EU funded Coordination Activity TRUCE (Training and Research in Unconventional Computation in Europe), and the EU FP7 EvoEvo (Evolution of Evolution) project. Her current research focuses on emergence, self-modification, meta-evolution, and artificial chemistries. She is the chair of ECAL 2015, to be held in York, UK next summer. In digital evolution, populations of computer programs must self-replicate and evolve to survive in a virtual world where they are subject to mutations, interactions with other organisms, and the pressures of natural selection. These digital organisms evolve in an open-ended manner, enabling us to address biological questions that are difficult or impossible to study in natural systems. In turn, digital evolution facilitates practical applications of new evolutionary concepts, for example, to design adaptable control systems for sensor networks and robotic swarms. I will discuss the history of digital evolution, examine how it’s helping to unite concepts between evolutionary biology and evolutionary computation, and provide an overview of ongoing research areas. 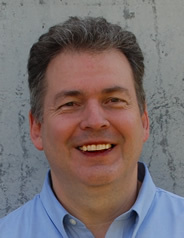 Bio: Charles Ofria is a Professor in the Department of Computer Science and Engineering at Michigan State University, the director of the Digital Evolution (DEvo) Lab there, and a co-founder of the BEACON Center for the Study of Evolution in Action. He obtained Ph.D. in Computation and Neural Systems from the California Institute of Technology in 1999. Dr. Ofria’s research focuses on the interplay between computer science and Darwinian evolution. He is one of the designers of Avida, an artificial life software platform to study the evolutionary biology of self-replicating and evolving computer programs (digital organisms, see also Digital organism simulators). Avida has been used extensively to study the basic processes that underlie Darwinian evolution. Avida is under active development in Ofria’s Digital Evolution Lab at Michigan State University and was originally designed by Ofria, Chris Adami and C. Titus Brown at Caltech in 1993. Evolutionary robotics is a field in which evolutionary algorithms are employed to design both robot controllers and body plans. However, it can be challenging to decide which phenomena and mechanisms that are part of biological evolution should be incorporated into robot design systems such that the resulting machines are complex, competent, robust and resilient. In this lecture I will introduce the history and state of the art in the field, as well as how the evolution of development–‘evo devo’–can accelerate the evolution of robust machines. I will conclude with an interactive discussion about the potential future advances that may exist for the field. 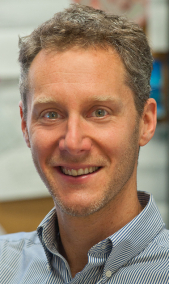 Bio: Josh Bongard is a professor at the University of Vermont and a 2010 PECASE awardee. He received his Bachelors degree in Computer Science from McMaster University, Canada, his Masters degree from the University of Sussex, UK, and his PhD from the University of Zurich, Switzerland. He served as a postdoctoral associate under Hod Lipson in the Computational Synthesis Laboratory at Cornell University from 2003 to 2006. He is the co-author of the popular science book entitled “How the Body Shapes the Way We Think: A New View of Intelligence”, MIT Press, 2006 (with Rolf Pfeifer). In 2007, he was named to the MIT Technology Review TR35 as one of the top 35 innovators in the world under the age of 35.